I’m not a sadist by any means, but I will take any chance I can get to make my sweet Mr Picky drink coffee. For years now, he has claimed to hate the stuff. I maintain that coffee simmered gently with milk and spices is not the same as the sludge served at the local gas station. I’ve tried making him Nauru’s “Recycled” Iced Coffee (no luck), Arabian Cardamom Coffee (no luck), and even an Ethiopian Coffee Ceremony, complete with popcorn (he exhibited mild curiosity but only ate the popcorn). I’m not disappointed at my lack of success, however. I look at this as a challenge, one of the few hurdles we still have to tackle with his picky ways… I’m determined to find a winning combination that he’ll at least tolerate by the end of this Adventure (and open to any suggestions you might have). 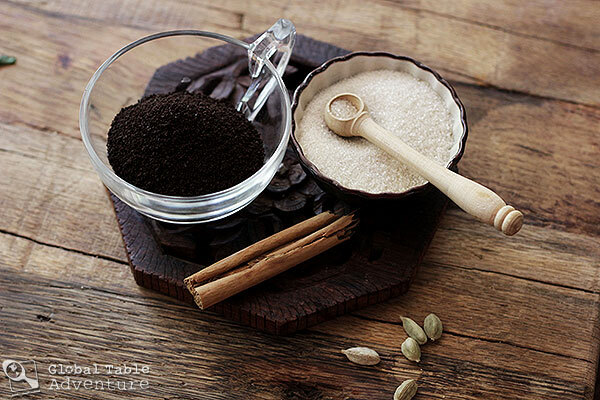 Today’s coffee, inspired by Pakistan, is a milky mixture of sweet cardamom, the most haunting whisps of cinnamon, and a lingering sweetness that is sure to bring out anyone’s smile. I think I see a smile… or is that anger? It’s a little like looking at the Mona Lisa. He’s such a good sport. For the rest of us, this drink is a real treat. Pakistanis prepare this fragrant coffee in large pots, constantly stirring and pouring from up high to create a frothy mixture. It’s a sociable activity – one that can be found throughout the local shops – and one that clicks through the rhythms of the day. 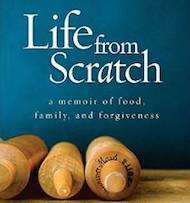 Adapted from Laura Kelly at Silk Road Gourmet, where she’s on a journey through the cuisines, histories and cultures of the more than thirty countries that traded goods along that great lifeline of the ancient world. … dark roast coffee, a cinnamon stick, milk, and some water. You can add the sugar now, too (that’s what I did), or you can let your guests add their own. Simmer for ten minutes. Ladle the liquid as it bubbles and bobs, pouring from up high to aerate the coffee mixture. Do this about twenty times. Actually do it about a hundred and twelve times. Each time the mixture will get a little frothier. It’s a great thing to do when you have a problem to work out. Someone to think about. A little stress to sort – that’s real life. The easy, repetitive motion is soothing the way a gentle breeze soothes in the spring. While the frothy coffee shimmers and bubbles, daydream your way to Pakistan. 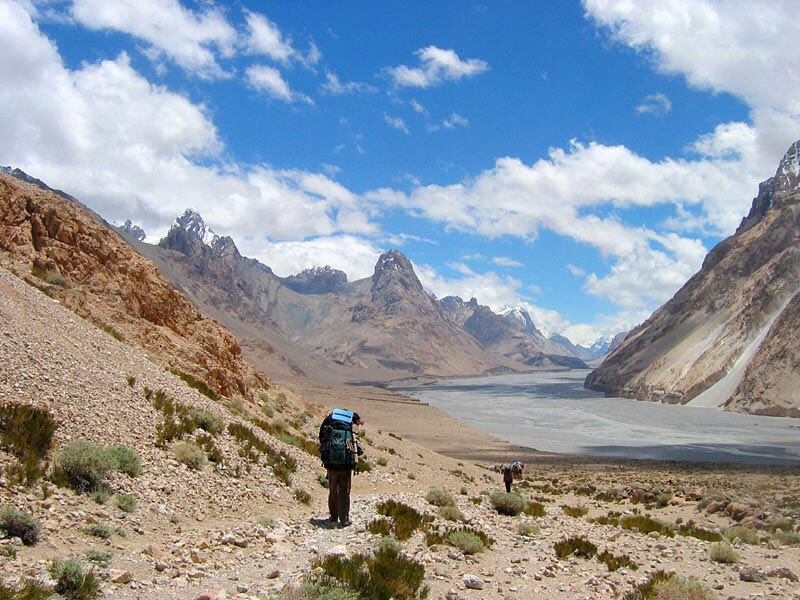 Perhaps you’d like to join me for a hike through the Shaksgam Valley while the sun bobs and weaves through the cloudy sky, scattering shadows on the valley floor. Shaksgam Valley, Pakistan. Photo by И.Жданов. When your feet are tired and your spirits high… find your way home again. Strain the milky mixture and transfer to a pretty coffee pot. 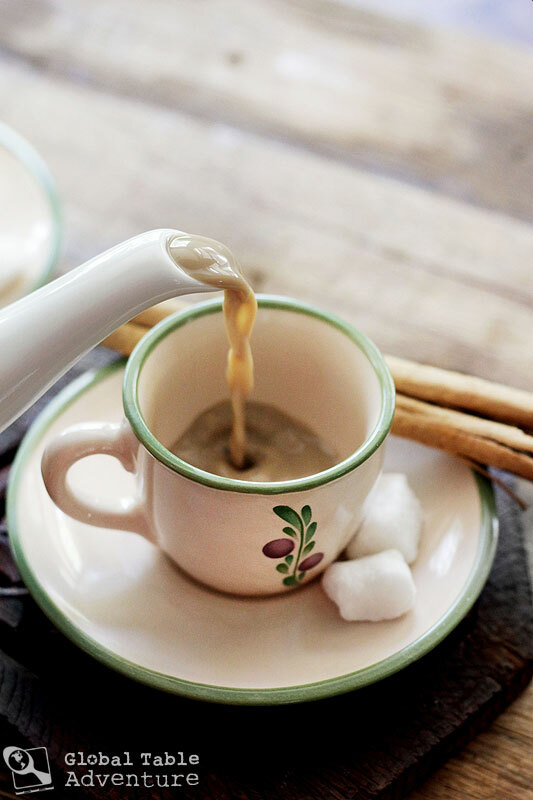 Pour into cups and serve with a cinnamon stick (to amp up the cute factor). Here, come a little closer. Sip those bubbles before they pop! 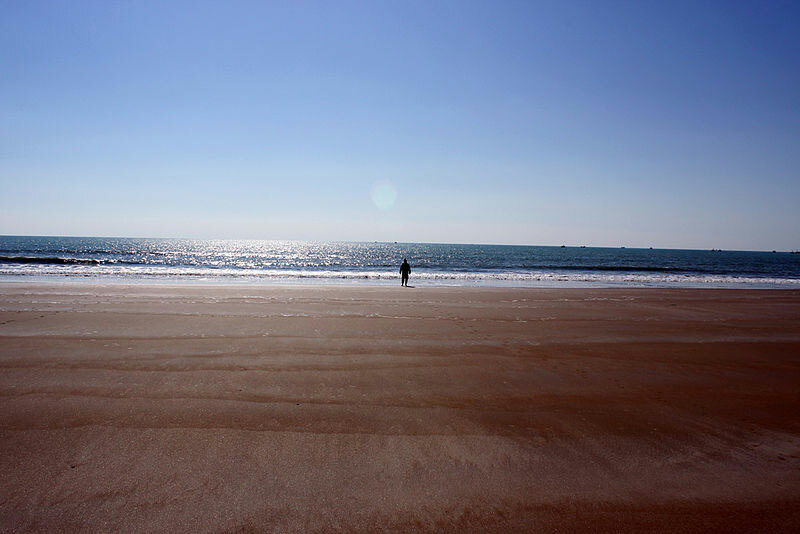 Savor slowly on the edge of the horizon, where the sand meets the sparkle. Kund Malir beach, Balochistan (Pakistan). Photo by Bilal Mirza. 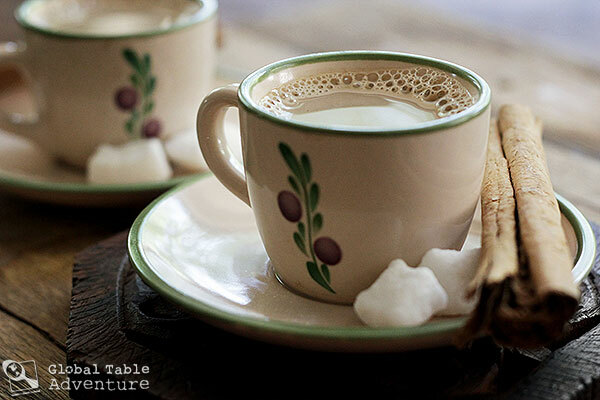 Pakistanis prepare this fragrant coffee in large pots, constantly stirring and pouring from up high to create a frothy mixture. It’s a sociable activity – one that can be found throughout the local shops – and one that clicks through the rhythms of the day. Crack open a few cardamom pods and toss them in a large pot, along with dark roast coffee, a cinnamon stick, milk, and some water. You can add the sugar now, too (that’s what I did), or you can let your guests add their own. Simmer for ten minutes. Ladle the liquid as it bubbles and bobs, pouring from up high to aerate the coffee mixture. Do this about twenty times. 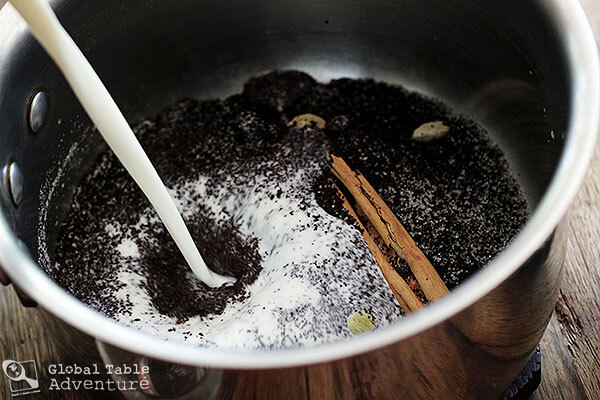 Strain the milky mixture and transfer to a pretty coffee pot. 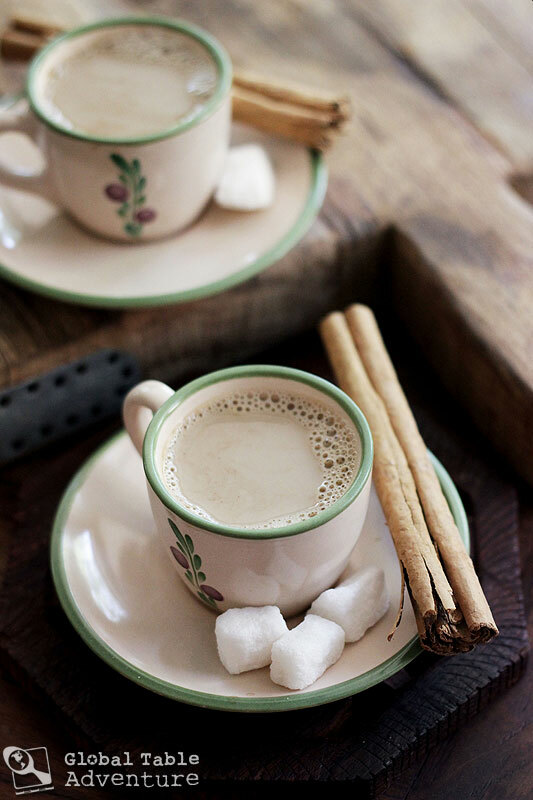 Pour into cups and serve with a cinnamon stick (to amp up the cute factor). Once again your words sweep me away to whatever country you are speaking about and transform my stress into motivation to keep going. Thank you Sasha. This makes me so happy! This reminds me of a coffee I was served in Mombasa Kenya in 1986. I have tried to replicate it to no avail but I think this is it. The coffee was so memorable. It was served in the morning with some fired donut thing. Many of the Kenyans along the coast trace their origins back to Pakistan and India so they must have brought the coffee with them. Not surprise as it is the most amazing drink ever. “It’s a little like looking at the Mona Lisa.” <– I LOL'd. It totally is! I picked other because I like to drink my coffee many different ways, so I don’t have a favorite. I have used a candy cane to stir my coffee during Christmas time, I had to make sure it was a creamy coffee, and it gave it a nice sweet minty taste. 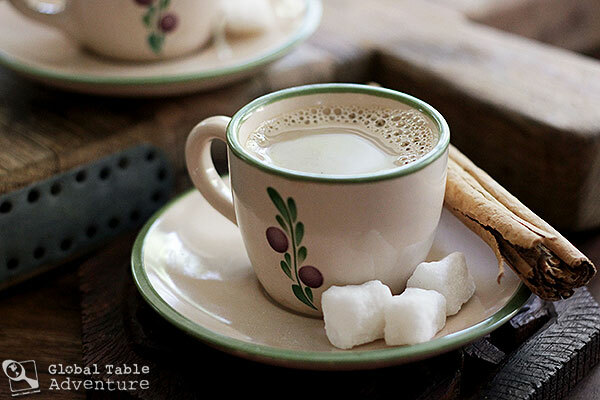 What a sweet idea – I bet Ava would love to do that in hot cocoa! I hope I remember that when the holidays roll around this year! Here is some music to go with your coffee. It’s a classical qawwali song by one of Pakistan’s most famous musicians. It lasts almost half an hour, enough time to sip that coffee! Which looks delicious. By the way, in some of those high valleys, like the one in the photo, they sip tea with salt. Did I mention she’s from Bulgaria? I like my coffee as black as can be, hot or iced. I enjoy coffee most any way its made but I love, love, love Thai style iced coffee made with cardamom and sweetened condensed milk. I drink it over ice all year round. Also, if I have a little leftover coconut milk, I’ll mix that up with the sweented condensed milk and stir it into my coffee. Sounds great! 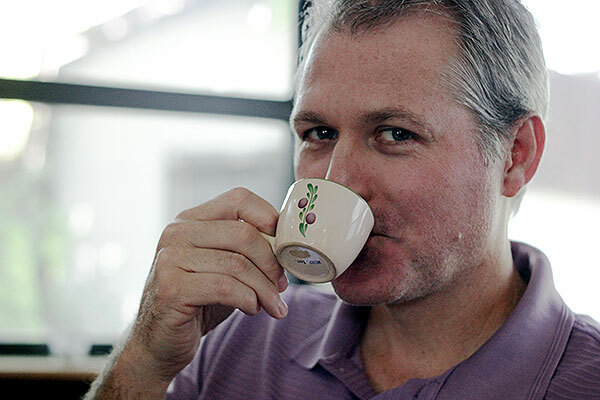 I still haven’t had Thai coffee – need to put it on the list. I love coffee and grew up with ginger coffee as well as coffee with condensed milk. I should try this coffee one day. Thanks Pepy – Coffee with ginger sound rad! I used to love coffee. But they have done something to the coffee you buy at the store. It is terrible. All brands now taste horrid. You can’t get them strong enough without them being super acidic. I have just given up on getting decent tasting coffee any more. I don’t even try, I am tired of being disappointed. Hmm, I read something about this – I know if you cold brew coffee it really reduces acidity… might try that for your summer sippin. Try making Swedish egg coffee with the shell, and see if that helps with the acidity. Or, probably better, cold brew your coffee to prevent the acidity. Don’t give up yet! Fantastic! My new favorite way of drinking coffee! Going to try this at work but maybe a little more simple since I have to use a coffee maker. but it should be a good way to use up the rest of the heavy cream. I expect Don to love this and I probably won’t because of the milk and sugar – but I could be pleasantly surprised!!! You could always brew it black with the spices, pour yourself a cup and then add the milk/cream and sugar to his 🙂 Have fun! Your favorite drip coffee is perfect. Dark roast is really good with this… Enjoy! feed and I hope you write again very soon! Having grown up in Vermont, coffee is great with a splash of real Maple Syrup. 2. Score the cardamon cloves and add them to the saucepan along with sugar. 3. 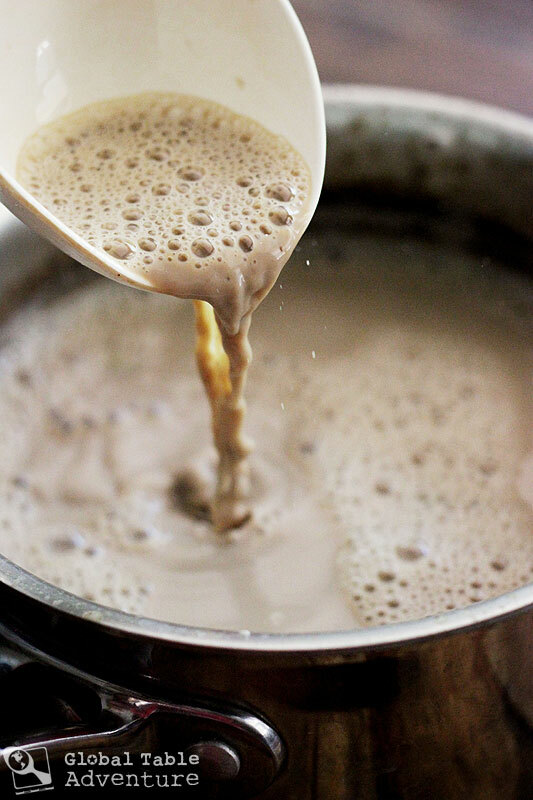 Start “oxygenating” the mixture with a milk spoon while raising the heat to medium and keep doing it for a good 15 minutes. Kudos to you on your awesome work. I found your blog via Chris Guillebeau’s book on quest. This way of making coffee is a revelation for me. I’m from Pakistan and have never seen this type of coffee. 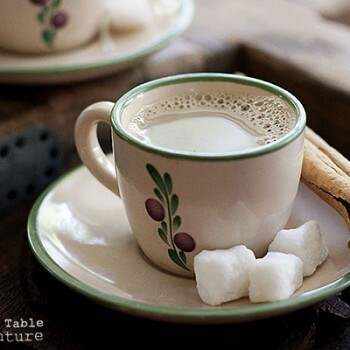 They make milky tea with spices; coffee is consumed mostly by the affluent classes frequenting Starbucks type establishments, or even McDonalds. I liked it more for how you presented it, pics that came live, words that captured the aroma of the spice and coffee… OH! great. 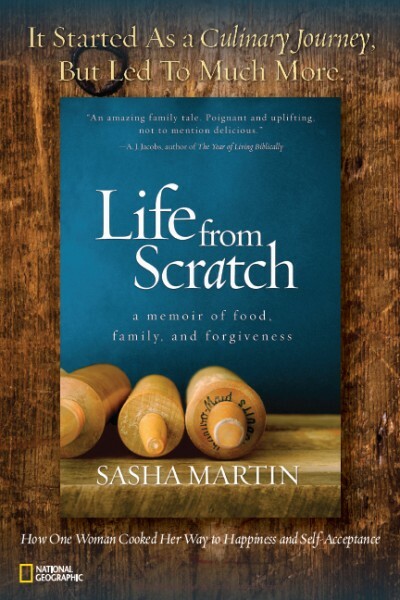 Hey Sasha, i have grown up in Pakistan and i write about Pakistani food. I assure you that we Pakistanis dont drink coffee. Coffee is generally not consumed by public. You have confused chai- tea- doodh pati with coffee. We Pakistanis are strictly tea drinking nation and happen to be the 6th largest tea importers in the world. This article needs a bit of correction. Bought back childhood memories! !!! my mum use to make coffee like this for us when we were kids growing up in England without the cinaamon! !!!!! 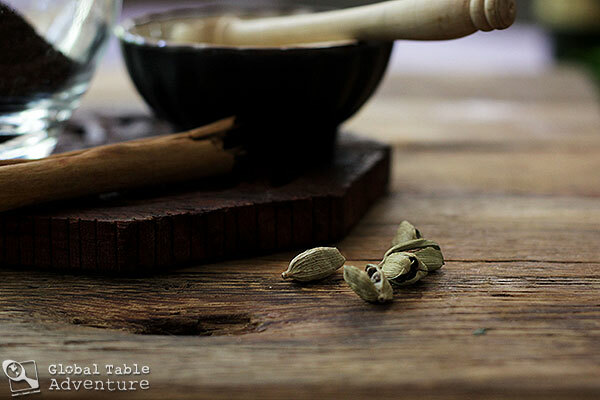 Looks fantastic, can I use ground cardamom? In your directions you say to add some water. The recipe calls for 3 cups water so do you add it all at once at the beginning? Thank you! Sasha hasn’t replied in 3 years. You guys can stop posting questions now. I take frappé iced cold coffee…. the coffee is cold ….I add fresh girofle+ fresh vanilla seed +star anise + vanilla ice cream…. mix well …drink…so good. I take frappé iced cold coffee…. the coffee is cold ….I add fresh girofle+ Ginger+ fresh vanilla seed +star anise + vanilla ice cream…. mix well …drink…so good. 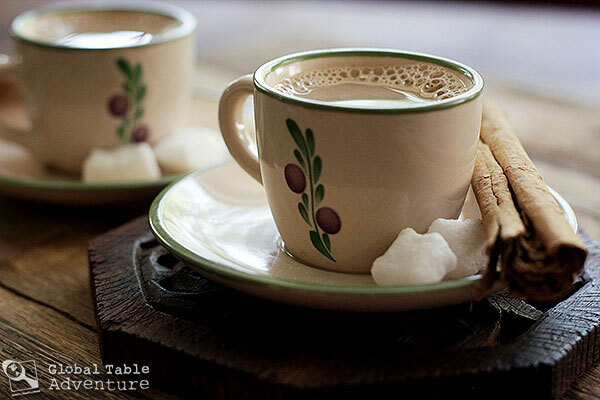 Love this recepie..I m Indian we have culture of tea and coffee…but coffee is amazing.. Interesting synergy of ingredients which result in a explosion of flavor. This recipe, it’s uniqueness and different ingredients, is a regular in my daily rotational caffeine intake. Thank you! I had to choose other, as I enjoy my coffee several ways, depending on my mood. With spice or without, with flavored creams or regular, hot or iced, just as long as it is strong and flavorful I gotta have it. I have absolutely no idea how I came across this blog but all I know is that it made me chuckle. I am a big fan of cardamom, cinnamon and coffee but I only drink black. Milk in coffee makes me sick. But none the less I had to give this a go. Especially because of my Bangladeshi routes I have to try anything that comes close from my motherland. Now having made this coffee I drank it first with no sugar as I don’t have sugar in my black coffee. But I realised this was more a desert drink then a pick me up so I added a heaped tsp of coconut sugar. Now it smells good, tastes okay but it won’t be replacing my morning black. It’s the milk! I just can’t stand it in coffee. I will finish this drink, it’s not so bad… However, in the morning when I make my black, I will be placing a tsp of cinnamon into the grounds and maybe a cardamom for it to brew in. It’s definitely changed the coffee game. I’m a big chai drinker and never ever thought that I could make coffee in a similar way. Sasha, does it matter what variety of cardamom is used? I cannot wait to try this! Thai iced coffee is also one of my faves – can’t wait to see what you think of it!! The discovery of a new dish does more for the happiness of the human race than the discovery of a star. Go anywhere in the world… by dinnertime. 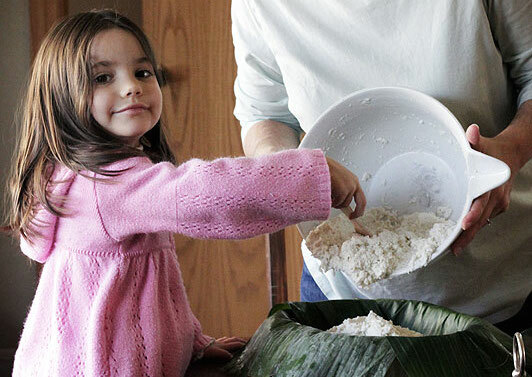 Click to explore recipes and posts from 195+ countries and territories. Copyright © 2019 Global Table Adventure.